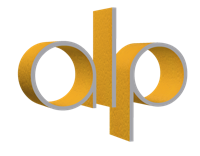 alp proposes comprehensive solutions that allow BE customization based on the specific characteristics of the project and the objectives of the client. alp is dedicated to projects of national and international proposals for different market. commercial real estate PROPOSAL, hotel, commercial and business, health, etc., being able to perform, develop and directING operations Jobs(WORKS) in small, medium and large DIMENSIONS in any area of the world. In recent years and currently has projects in the field of bioclimatic planning in the states of São Paulo, Ceara, Piaui and Maranhao in Brazil. alp works diligently to provide creative solutions to THEIR customer requirements responses, offering quality design and strict adherence to deadlines and set budgets, achieving total customer satisfaction.